Bow seasons are upon us and all across the United States and Canada hunters are out in tree stands, in box blinds and stalking through rough terrain to kill big bucks. While it still has yet to get cold enough to really get the bucks’ juices flowing, there are still ways to put a monster muley or white tail on your wall. 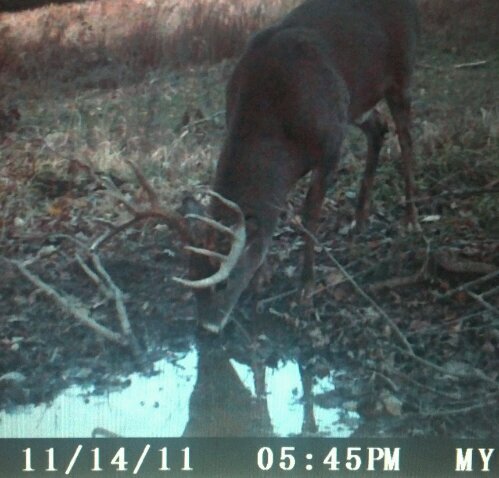 The key to finding big bucks or any deer for that matter in the early season heat, is to find water. Whether it is a popular creek, drainage ditch or pond, you’ll find animals where the water is. When the temperature is above 60 degrees, these animals need to drink, and big animals need a lot of water. If you have the chance to hunt over a water spot in intense heat, you better be prepared for a monster animal. Elk and mule deer out west need plenty of water to get them though the day, so finding a good spot of water is important. These deer and elk drink gallons of water during a single sitting and if you’re there on top of them waiting to shoot you can get one. Make your early season hunts count and put yourself in a position to get your biggest deer yet by sitting over water holes when the temperature rises. Pictures or Videos on Your Trail Camera?